A family trip to Clear Lake Park was a good excuse to revisit the Bay Area Museum. This facility is housed in a repurposed church that was saved from demolition in the late 1970’s. I blogged about this facility in 2016 but had not been able to see the interior. As luck would have it, this time the museum was open! The interior has been restored faithfully with much of the original layout intact. Wood trim and details throughout have been preserved or recreated. The open space that once served as a parish hall serves well for the majority of the museum’s displays. 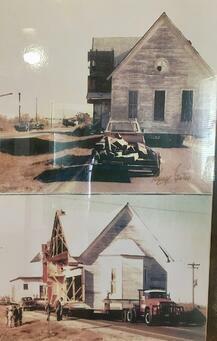 A variety of artifacts are on display outlining the history of the Clear Lake area. Photos from the day the building was moved are there too. Since I had not been able to go inside the last time I was curious to discover what had happened to the original worship space. As I noted in my previous account, the move and restoration was initiated by a civic leader, Maggie DeNike. Her intent clearly was to create a community facility. 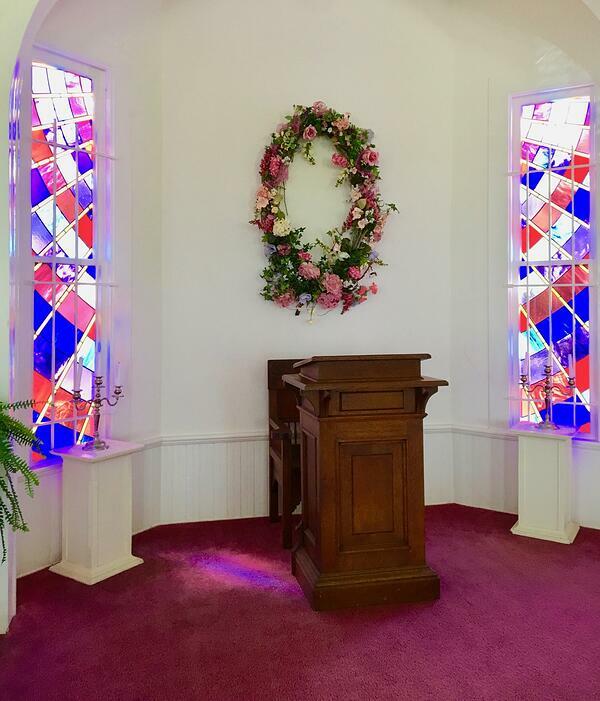 So what did she do with the restored worship space? It’s a fully functioning chapel! No wonder it is a favorite for weddings. 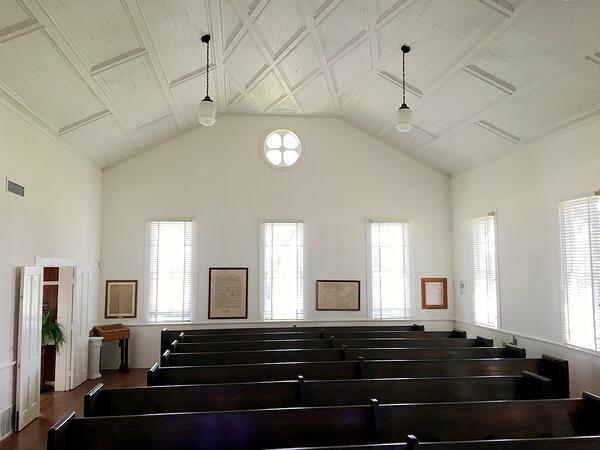 The south wing of the old Webster Presbyterian Church is still a worship space, though not of any particular denomination. 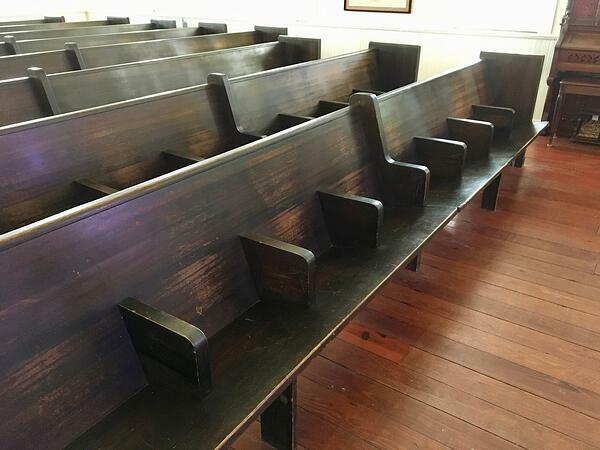 The pews appear to be the original restored seating. However, note the chancel area is set up to be flexible. There is no altar table, just a wooden pulpit and chair. These may be moved or rearranged as needed, depending on the particular service or liturgical arrangement. Just think of it. Here’s a great example of the importance of sacred spaces. 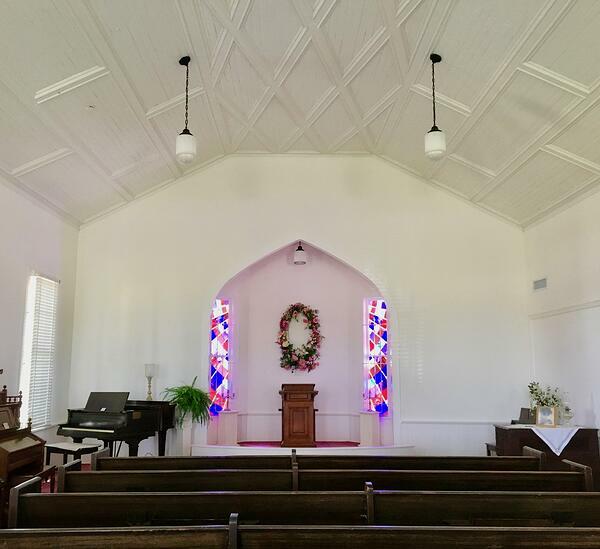 A civic organization, funded largely by an annual civic celebration not only runs a museum but is also in the business of providing a church facility to an entire community. Bay Area Museum, is located in Clear Lake Park at 5000 NASA Road 1 in Seabrook, Texas.